America’s solar energy jobs engine hit a roadblock last year with a loss of nearly 8,000 jobs nationwide in 2018, based on The Solar Foundation’s latest “National Solar Jobs Census.” This decline follows a loss of nearly 10,000 jobs in 2017, the first year jobs decreased after seven years of steady growth. When we look at the big picture, solar energy is still a booming industry where workers are in high demand. Here are a few examples from company sponsors featured in the this year’s census: Southern Current, based in Charleston, South Carolina, more than tripled the size of its engineering department and added dozens of field employees and project managers since 2016. sPower, based in Salt Lake City, added 80 new employees over the past year. The San Francisco software company Aurora Solar more than doubled its workforce last year and is poised for future expansion. While this is good news, we’ve also found that solar companies are having a difficult time finding new employees. One of the findings that stood out in this year’s census was the high number of companies reporting it was “very difficult” to hire qualified workers. This difficulty hiring is not new to the industry, but it was especially pronounced in 2018, when 26% of survey respondents reported hiring was very difficult. That’s up from 18% in 2017, marking a 44% increase. Among installation and project development establishments, 33% said hiring was very difficult in 2018. These numbers are not surprising if we consider the general state of the economy. The historically low unemployment rate means that all kinds of businesses are struggling to find qualified employees. Solar installers are in direct competition with the construction industry, where jobs are now growing faster than the economy overall. It’s worth noting that solar companies are paying competitive wages in a bid to attract new workers. Wages average just under $19/hour for entry-level non-electricians and $28/hour for non-electricians across the board. Difficulty hiring is widespread across the country, but this challenge was particularly acute in some of the top states for solar jobs growth in 2018. The percentage of employers reporting that hiring was “very difficult” was at 40% in Florida, where solar jobs increased by 21%; and 40% or above in Pennsylvania and Ohio, where jobs increased by 10% in both states. It was also high in Southeastern states like Tennessee, Kentucky and South Carolina, a region where solar jobs are growing and there is a smaller base of experienced workers. Other challenges more specific to the solar industry have exacerbated hiring difficulties in many states. One important factor is state requirements for licensed electricians at solar installations. More than 30 states now require at least one electrician to be present during an install, and some states also set ratios for the number of unlicensed installers to each licensed electrician. In Minnesota, for example, a journey- or master-level electrician must perform all electrical work on a PV system, and the worksite must adhere to a ratio of one licensed electrician to every two unlicensed. Such requirements can make the hiring process take longer and slow installations. Solar companies are competing with other industries for experienced electricians, and they often end up hiring from out of state. In the latest census, 22% of companies ranked electricians as the most difficult position to fill. (In Minnesota, this figure was 43%.) From an electrician’s point of view, solar installations are difficult jobs that require outdoor work and exposure to the elements. The boom and bust “solar coaster” cycle also dissuades some electricians from entering the industry. States might consider alternative approaches that allow them to back away from these requirements without sacrificing quality or safety. 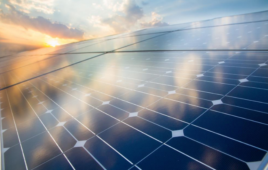 Instead of requiring a specific number of licensed electricians, one option is to offer solar-specific licenses (which seven states already do). Additionally, states may consider accepting North American Board of Certified Energy Practitioners (NABCEP) certification. In general, states can work to align training and licensing requirements with industry needs to help ensure a robust supply of skilled workers. Solar companies can also help improve the hiring environment by taking an active role in training electricians. On-the-job training is required for all electricians to obtain a license, but our research found the solar industry could be much more involved in the training process. By expanding their participation in these apprenticeship programs, solar companies can build a pipeline of electricians specifically trained for solar work. For example, ReVision Energy has set up a state-certified training and education program for electricians in Maine and New Hampshire, essentially an “electrician school” for solar workers. Such training programs can also create new advancement opportunities for non-electricians. A tight labor market will likely remain one of the industry’s biggest challenges as solar becomes an ever-larger part of America’s energy use. There are several important steps the industry can take, starting today, to expand and diversify the pipeline of skilled solar workers. First, solar companies can tap into local workforce development resources, such as through partnerships with workforce development boards and American Job Centers. The public workforce development system can help companies engage broader talent pools and extend solar opportunities to underrepresented communities, such as people of color, low-income communities and veterans. Establishing connections with local training programs, such as through technical and community colleges, can help strengthen the train-to-hire talent pipeline at a local or regional scale. A second strategy is to create more opportunities to learn on the job, which reduces the need to find employees with extensive experience. Southern Current is one company that has taken this approach. “We look more to how we can develop new hires and are willing to take less experience so we can train and develop employees’ skill sets from within,” said Greg White, chief EPC officer at Southern Current. McCarthy Building Companies partners with workforce development organizations to organize job fairs in communities where solar projects are underway. McCarthy also offers a three-month training program for all new employees, which can provide transferable skills to those without previous experience. Local workers make up the vast majority of Swinerton Renewable Energy’s workforce, and the company also provides many training opportunities to facilitate career development. Our research has found there is no widespread solar industry model for apprenticeships, internships and on-the-job training, which is standard practice in many established industries. In fact, only 34% of solar companies provide an on-the-job training program. A report from TSF’s Solar Training Network, “Strategies for Workforce Development: A Toolkit for the Solar Industry,” offers a step-by-step guide for setting up a work-based learning program. The report, along with case studies, a solar job board and other resources, is available at AmericanSolarWorkforce.org. It is also essential for the solar industry to prioritize diversity as part of any long-term hiring strategy. In the short run, a tight labor market can increase the pressure for companies to hire the first qualified person available without regard to diversity. However, a commitment to hiring diverse groups, including women, people of color, the LGBTQ community and veterans, will expand the pool of qualified candidates and position a company for success. Today’s solar companies recognize that a diverse workforce is a smart business strategy that will improve bottom-line performance and also help them better represent the communities they serve. In that vein, it’s very encouraging that solar industry leaders are speaking out about the importance of a diverse workforce and adopting comprehensive diversity strategies within their companies. At The Solar Foundation, we are partnering with SEIA to release the next edition of our “U.S. Solar Industry Diversity Study” in May and help move the industry forward. There’s every reason to be optimistic about America’s solar workforce, which has more than doubled from 93,000 workers in 2010 to 242,000 today. In some ways, the hiring difficulties the industry is now experiencing are a direct result of this success. To meet this challenge, both state and local governments and solar companies themselves can adopt forward-looking strategies that will help meet the hiring challenge and lead the industry toward a bright and sustainable future. Excellent! For approximately 5 years I’ve sort of flirted with the idea of offering Solar Training to incarcerated/formerly individuals as one solution to filling America’s Skills Gap. After reading this, I am even more convinced that this is a viable solution to addressing both the social justice issue of mass incarceration and the reported shortage of skilled workers particularly in the solar industry. I feel that the time is now to consider this untapped pool of talent.